How to find the right sports bra? First of all it depends on which sport you need it for. You can get bras with low support (for sports like pilates or yoga), medium support (zumba or nordic walking), high support (for example for ball sports) and also super high support, which is ideal for runners. Secondly it is of course important to know your size. Don't be too shy to ask a seller to help you out or use charts when shopping online. Your regular bra size may not always be the same as your sports bra size. Before buying a sports bra you should also check if it's comfortable and joins in all of your regular sports movements. Are there any itchy seams or don't your breasts stay in place when you bend over? Then you'd better opt for another bra. 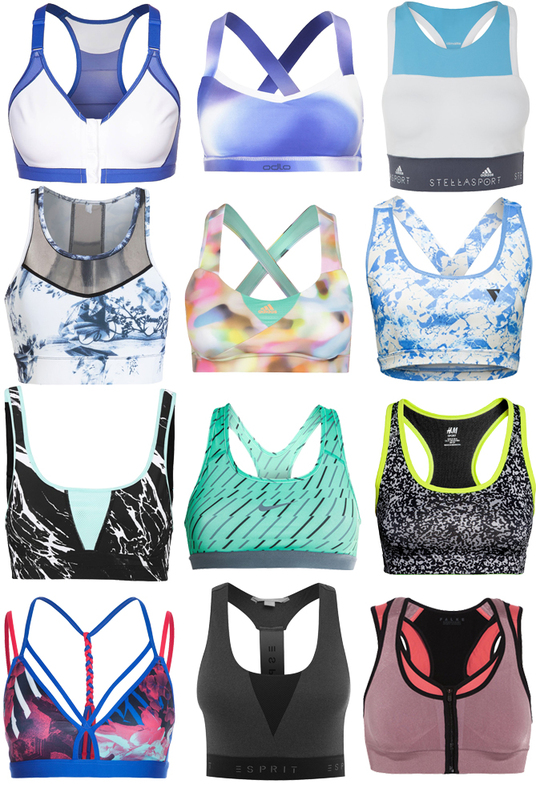 Awesome selection, these sport bras are so pretty!